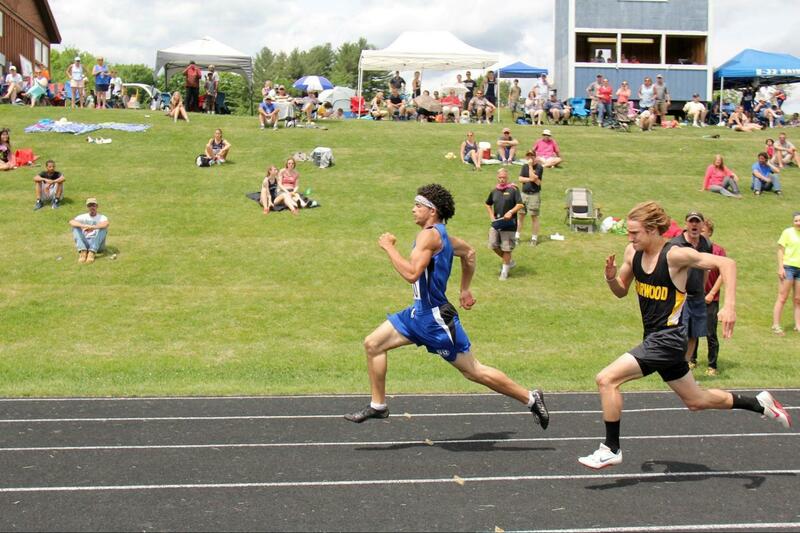 Two years ago, the U-32 boys track team won the state championship title for the third year straight. Two of the students on the team were failing classes. The combined score of those two students was enough to make the difference between winning and losing. At most schools this would not have been possible. Most schools require students to be passing all of their classes in order to remain eligible for sports. Here at U-32, you could be failing all your classes but as long as you showed up, you would remain eligible to play. U-32’s eligibility policy for student athletes is as lenient as it gets. Thanks to that leniency, the track team’s third straight win was possible. At most surrounding Washington county schools, this would not be the case. 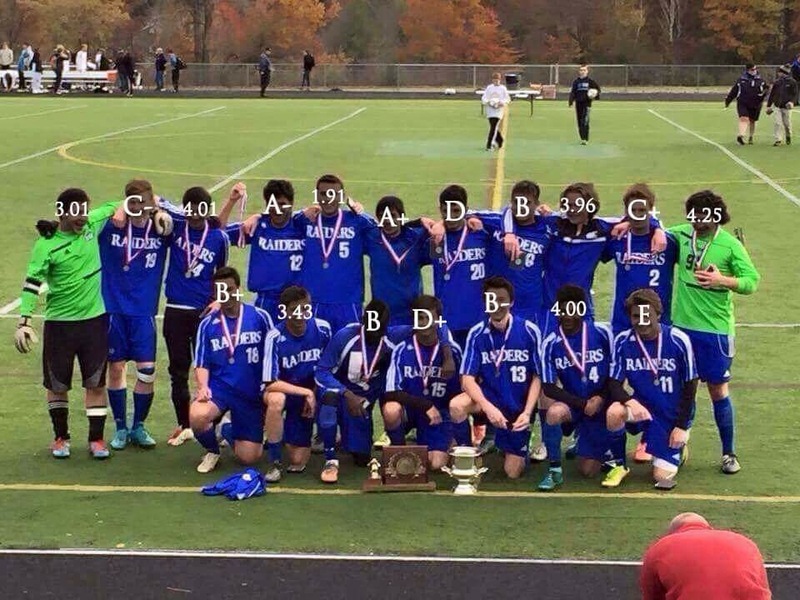 Spaulding and Montpelier, if both in that same situation, would have lost without the extra players. Their system is focused around grades rather than just showing up to school. Montpelier’s policy does what U-32’s does not, and includes both grades and attendance. The grades part is very lenient but some effort has to be shown for students to be eligible for sports. Quintin Pelzel, a U-32 football player, disagrees with the policy. 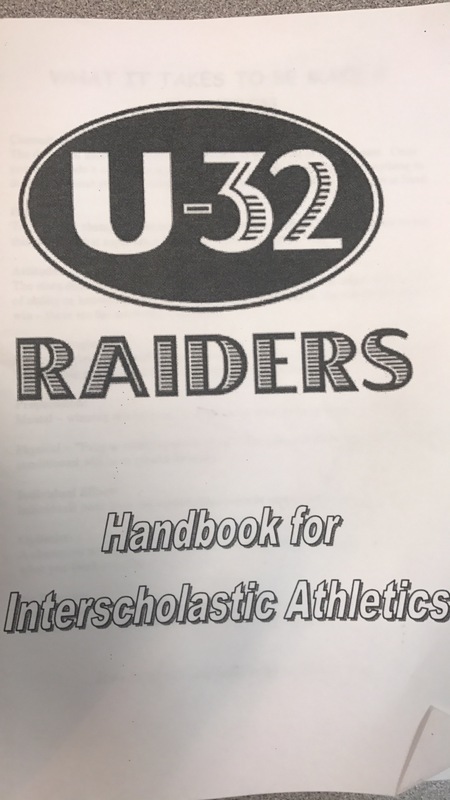 “U-32 is one of the only schools around with such a weak policy, and I think it really sends a bad message to athletes that they just need to show up but not actually put any work into the school side,” Pelzel said. This being the case, many wonder if it is time that U-32 follows in Montpelier’s footsteps and risk the consequence that may come, or if U-32 should continue with its lenient policy and reap the rewards in terms of championship caliber sports teams? Every student is an individual with their own motivators. If a rigid rule for sports eligibility was in place it very well might be a deterrent for some students; especially those who already are struggling acedemically. For many academics is extremely overwhelming but because of sports they continue to try. For some it truly is a big deal to “just show up”. Without sports (or other extracurricular programs) many may be lost completely to U32 and their chance at furthering their education. For many students sports is the one area they feel successful. The only place they feel part of a team and valued. I know many students who would not be students any longer if it hadn’t been for their passion for their sport(s) of choice and the comradery and support of there teammates. In fact I would bet that because of U32’s “humane” sports eligibility policy there are many students who actually have done far better acedemically and socially than they would have had they not been allowed to participate in their given sport. We are all human beings with our own special strengths and challenges. It is precisely because of our individual uniqueness that I feel eligibility needs to be determined on an individual basis. For some it’s an “A” and for some it’s “showing up” that is truly their best! Who are we to say that their best isn’t good enough?